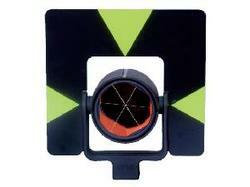 With the rich industry experience, we are offering superior quality Prisms, Prism Pole & Tripods. These prisms are designed with high precision and manufactured using top-notch quality raw material and advanced machinery to maintain a high level of precision in the offered product. Additionally, these prisms are available in various specifications and can be customized as per precise requirements of clients at affordable prices. To meet diverse requirements of our prestigious clients, we are engaged in providing an excellent range of Aluminium Tripods. Only high quality components are used while manufacturing the offered range, for increased compliance with international standards of quality by our experts. 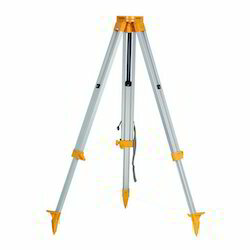 The offered tripods are highly appreciated among clients for their high performance and compact design. Apart from this, our range is offered in different specifications and can be customized, as per precise needs of our clients and at highly competitive prices. Owing to our in-depth domain expertise, we are providing a qualitative range of Heavy Aluminium Tripod. The offered tripod is manufactured as per international standards using the best quality components under the guidance of our expert team. 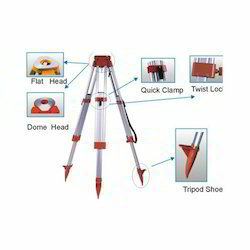 Our offered tripod is available in different specifications to fulfill the wide needs of our esteemed clients. In addition to this, clients can avail the entire range from us in customized options and at market leading prices. 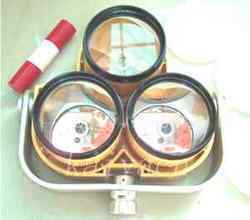 We are reckoned amongst the notorious organizations of a broad array of Land Surveying Instruments. In order to provide an excellent range to our clients, these instruments are manufactured by employing sophisticated technology by our professionals. Our entire range is offered in several models and other related technical specifications, as per the variegated requirements of our valuable clients. This high-quality Leica Prism/GPH1 Swiss-style prism assembly features a copper-coated prism for consistent results and a removable target. Reckoned as leaders in this industry, we are providing our esteemed clients with excellent quality Mini Prism The offered prism is manufactured using high grade components and contemporary technology by our skilled experts. We assure our clients that our range is quality tested on predefined parameters, in order to meet international standards. 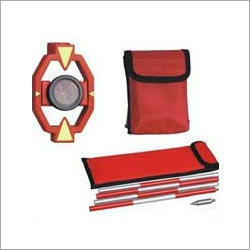 Apart from this our prestigious clients can avail this prism, as per their needs, at highly competitive price. 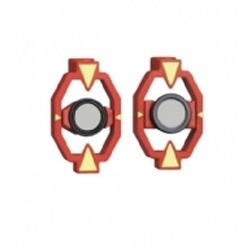 This multi-functional product is exclusive and comes as standard equipment on Crain Prism and GPS Poles, Stakemill has seen other dealers remove these items and try to upsell them to you, tisk tisk Ralph. 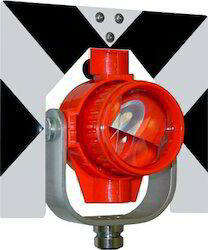 Crain's Stedi-Rest fits any 1.25 to 1.5-inch (32 to 38.1-mm) pole. The Stedi-Rest takes the place of three separate products. The Stedi-Rest can act as an equipment "prop" to keep your equipment out of mud or water. 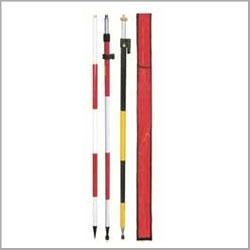 It can be used to check the calibration and re-calibrate your pole's level vial. It also can be attached to a tripod for a pole support system. 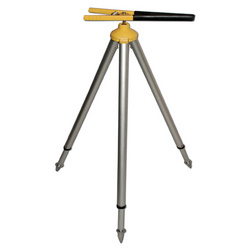 This heavy-duty tripod features all-wood legs with hand holes. Dual locks (quick-release and twist lock), a shoulder strap, and a 6.5-inch round head. The tripod extends to 68 inches (173 cm), and collapses to 44 inches (112 cm). 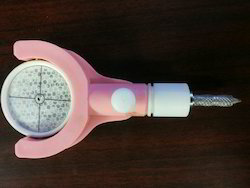 The KP90N planimeter measures the area by pulse count of 6 - digit. This method enables a larger cumulative measurement of area (up to 10 m2). 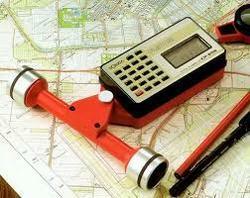 The KP90N is a roller-type planimeter and has full calculation functions. The KP-90N can easily convert the measured area value in to a new area value with a new unit and with a new scale value. When the measured area value overflows the displayed figures of 8 digits, the measured area value is calculated and displayed by an upper unit. When the overflow occurrs in the uppermost unit, km2, acre, the measurement can be continued by pulse count display. Operating Duration: Approximately 20 hours continuous operation. 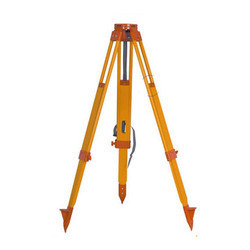 Looking for Surveying Accessories Prisms pole and Tripods ?